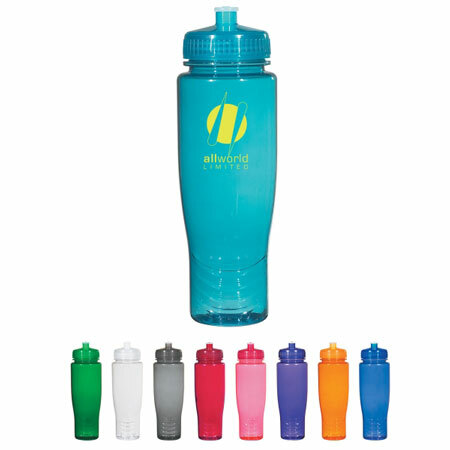 Customized BPA Free Bottles with Push-Pull Lid Printed in Bulk or Blank. Inexpensive, Promotional. Budget Prices in the USA and Canada. 28 oz. Wholesale Personalized 28 Oz. BPA Free Bottle with Push-Pull Lid on sale. We also supply blank (not custom imprinted) BPA Free Bottles with Push/Pull Lid for $2.00 each. Lowest cost in USA and Canada for promotional 28 Oz. BPA Free Bottle with Push-Pull Lid . American clients pay no taxes.